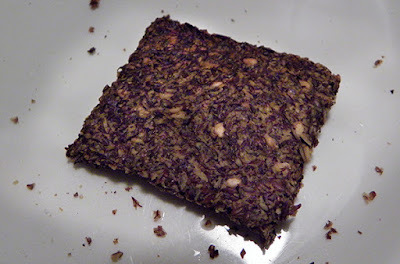 Bob’s Red Mill is a great source for the ground flaxseed that is the basis of this recipe. First I used the recipe written on Bob’s bag, with ¼ tsp. 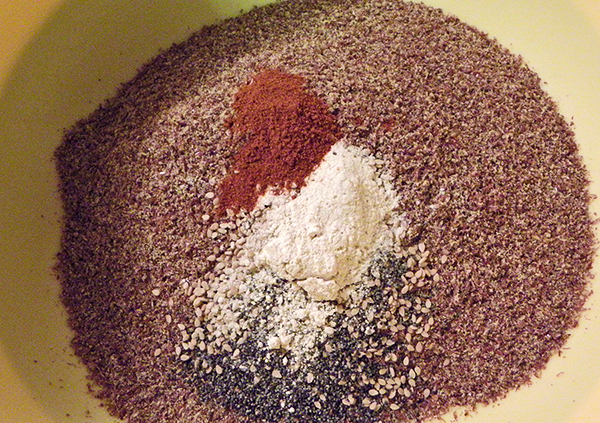 each of onion and garlic powders, plus ½ tsp. salt. He brilliantly throws in some seeds: ½ tsp. poppy and 1 tsp. sesame. 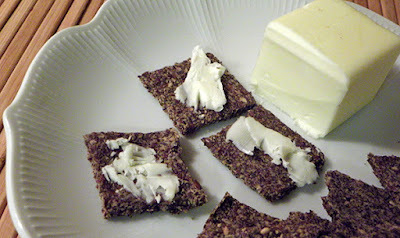 According to Bob, these crackers are “terrific topped with a slice of cheese or a schmear of almond butter.” They are also somewhat bland (thus being excellent schmear vehicles), but nicely textured with the seeds. 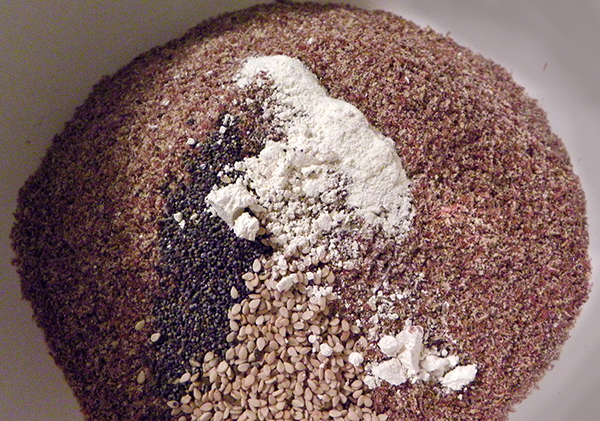 In fact I increased the amount of seeds to add a bigger hint of sesame flavor and more texture. Physician Michael Greger, author of the enlightening and practical health book How Not to Die has an alternative recipe for these crackers. He eliminates the poppy and sesame seeds and bumps up the quantity of onion and garlic powder to ½ tsp. each. He also adds ½ tsp. smoky paprika. Unfortunately the doc also eliminates the salt. I wouldn’t skip either the salt or the seeds. 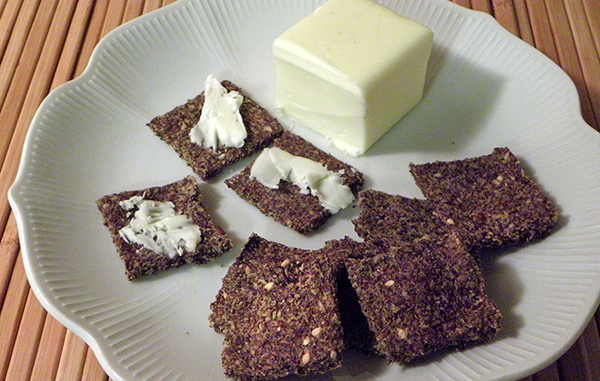 Without these ingredients the crackers, IMHO, are reminiscent of cardboard, smoky paprika notwithstanding. But, each to his/her own, and in that spirit feel free to experiment with herbs and spices that you like. Just remember to keep the ratio of flaxseed meal to water at 2:1. Enjoy this contemplative time of year, planning the wonderful things you’ll do this summer and throughout your lifetime. And enjoy a few crunchy crackers as you ponder, with or without a schmear. In a large bowl, stir together flaxseed meal, salt, garlic powder, onion powder, poppy seeds and sesame seeds till well blended. Add water and mix until a dough forms. 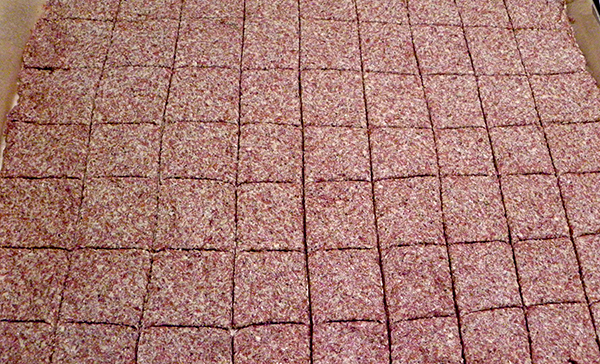 Spread onto prepared baking sheet and flatten to 1/8 inch thickness. 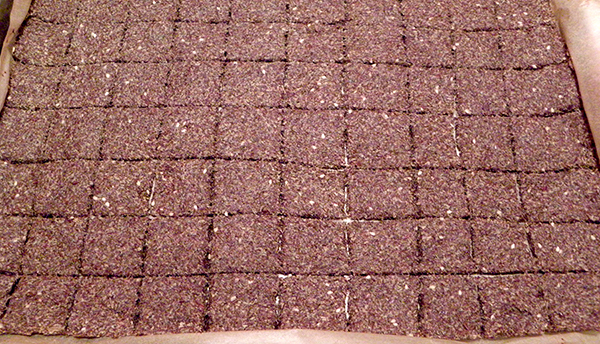 Score into 1.5 inch squares. Bake at 400 degrees for 25-30 minutes till crisp and edges brown. Let cool completely before dividing and serving.